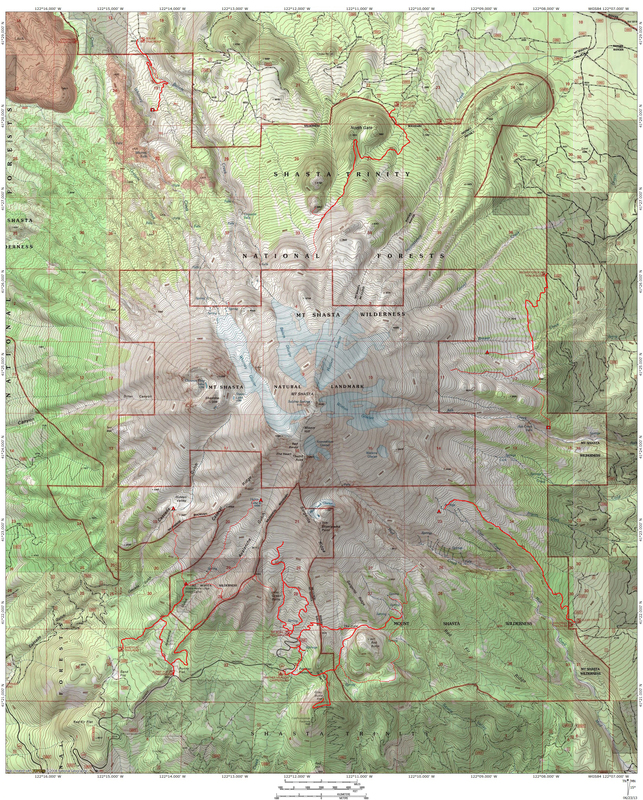 Mount Shasta is an undeniably magnificent mountain that demands attention whenever it is in view. For something as large and overshadowing as Mount Shasta is, it is surprising how challenging it can be at times to properly frame and photograph. One of the most satisfying ways to capture the mountain is when it is reflecting in still waters. The majestic tower, doubled in the natural mirror, is an unforgettable sight. Reflections of the mountain are both easy to come by and difficult to find. 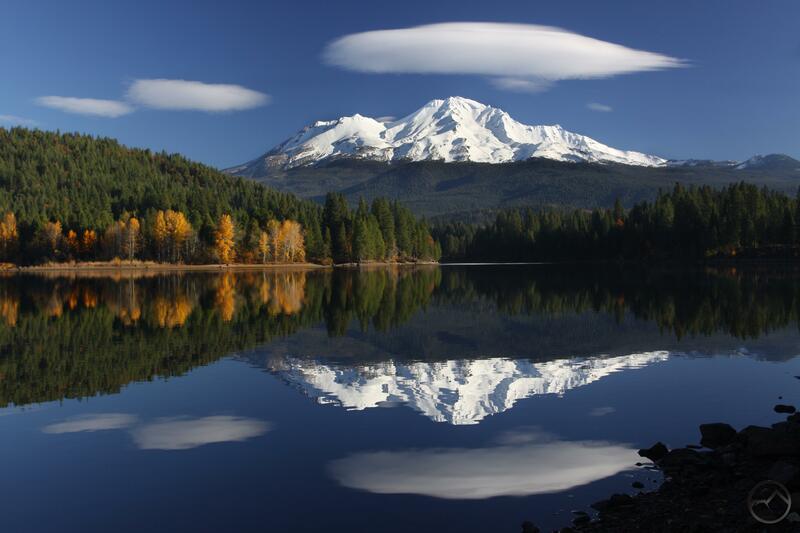 They are most easily captured at Lake Siskiyou, where quick access and an overwhelming view of the mountain make getting a good reflection of the mountain an easy task. Other than that, finding a good spot to capture the mountain reflecting in calm water can be a real challenge, especially from the north and south. The east is nearly impossible. This gallery is intended to capture the reflections seen on HikeMtShasta and be an encouragement to get out and explore the areas around the mountain. Thank you! That is one of my favorites too! Thanks! How did the trip to Sequoia go? Sequoia was amazing. I blogged two days of it. Wish I had more time in Kings Canyon though. Another time. Big Bend up next and then either Yellowstone or Yosemite. Glad you had a good trip. I am so behind on everything right now, I have not checked out past posts on any blogs. I will go back and do that. Big Bend is awesome. I spent two Thanksgivings out there back when I was in school in Texas. If you have not already, be sure to hit both the Wichita Mountains and the Caprock area. Both were my favorite Texas haunts when I lived out there!